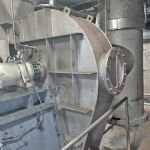 To support its rapid growth Process Plant and Machinery is looking for worldwide business partners to source and sell used process equipment for the food and drink industries. Opportunities are available in most countries to sell our high quality process plant and to source the same for our established international customer base. Both agency and distributor agreements are available as appropriate to the specific market and the individual partners circumstances and preference.